Adding investment property to your portfolio is a great way to diversify risk among different investment classes. Even in real estate, there are different investment categories that have varying levels of risk. Finding a good Tampa Bay investment property is feasible depending on your experience and risk tolerance. Take the time to understand the process to determine when to pull the trigger and when to walk away. 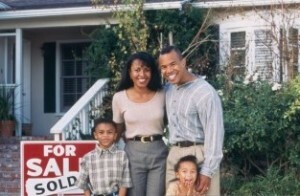 Look for investment property in a location that you are confident has strong upward potential. Regardless of whether or not the property is a rental or a flip, you need to understand where you want to buy and why that is a desirable area. Look for city plans for new developments, urban renewal or new transit lines. Is this an area people are moving into and why. If they aren’t, find out why people are leaving the area. Avoid areas where crime and vandalism are increasing. Not only does this pose a risk for the property but it makes it more difficult to collect premium rents or resale prices if residents don’t find it a desirable area. Do the math. If the investment property is intended to be a rental, understand where the rents go. You will have to pay the mortgage, utilities, maintenance and vacancy periods. This means that $1,500 per month in rent really might only be $100 in cash flow to you. Once you have the numbers, determine if the cash flow is acceptable and if you feel the equity over time is valuable. If the property is intended as a fix and flip, don’t just consider the purchase and resale price. Consider the contractor costs to fix the property including materials, permits and unforeseen fixes. Also, anticipate the numbers additional time that construction invariably takes and potential vacancy while sitting on the market for sale. If you don’t plan for the worst in a flip, you can find yourself in the red very quickly. Determine what your goals are for the investment. A long-term investment strategy is much different than a short-term strategy. When you look at the long-term rental, you need to consider the long-term growth in the area. You want to maximize rents while keeping stable tenants that care for the property. A short-term investment is looking to maximize trends in the existing market and make the home the top choice between other homes in the area by being a turnkey property. Talk to experts that include real estate agents, city planners and neighborhood residents about any property or neighborhood location. You want to get a full grasp on what the recent trends have been in the market and any indications that will change the trends. Good investors anticipate great deals and also have a good nose for high-risk ventures. This comes with asking questions and digging into real data about crime, rental rates, housing markets, new developments, city planning, schools and resident’s enjoyment of the area. Nothing is worse than buying a property without having a set exit strategy along with a plan B exit strategy. Loans for investment property are more expensive than personal residential loans and thus the investor needs to have cash flow and resources to maintain the property. Investors must set thresholds for purchase prices, contractor costs and even for vacancy periods. A threshold to sell a rental property might be a vacancy for more than six months or several capital expenditures that weren’t anticipated.